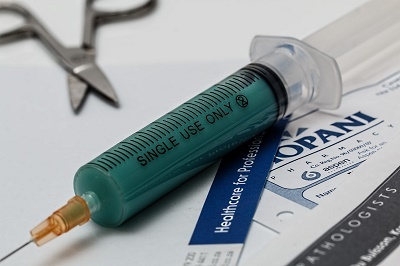 The rule of thumb for all travelers is to visit a doctor four to six weeks before the trip to allow any vaccines administered by the doctors to take effect before departure. An International Certificate of vaccination is needed for travelers coming from yellow-fever-infected areas in Africa or the Americas. If coming from other countries, the vaccine is usually not recommended. Ideally, all routine vaccinations are necessary to be updated such as MMR (measles, mumps, and rubella), DPT (diphtheria, pertussis and tetanus) and varicela (chickenpox). The MMR vaccine is very important for any female of childbearing age who may become pregnant. Hepatitis B is advised for individuals who will be exposed to infected blood or bodily fluids. In general, the flu vaccination is recommended for a yearly vaccination. Travelers over the age of six months who have not received the vaccine in the previous twelve months are required to have the immunization. The recent release of 2010-2011 seasonal influenza vaccine will protect against H3N2 virus, influenza B virus, and the 2009 H1N1. Swine flu vaccine is not required when entering the US, but it is best to ask one's physician for recommendations due to the H1N1 influenza (swine flu) outbreaks reported in Massachusetts. Unfortunately, there are no vaccines for West Nile virus. One is expected to take precautionary measures to prevent mosquito bites.